Camilla Power is Senior Lecturer in Anthropology at the University of East London. Her research has focused on the evolutionary emergence of symbolic culture, language, art and religion. Morna Finnegan is an independent researcher who has published on the sexual egalitarianism of Central African hunter-gatherers, with a particular focus on the relationship between ritual and political domains. Hilary Callan is Director Emerita of the Royal Anthropological Institute, having served as Director from 2000 to 2010. She has held various academic positions in anthropology and international education. 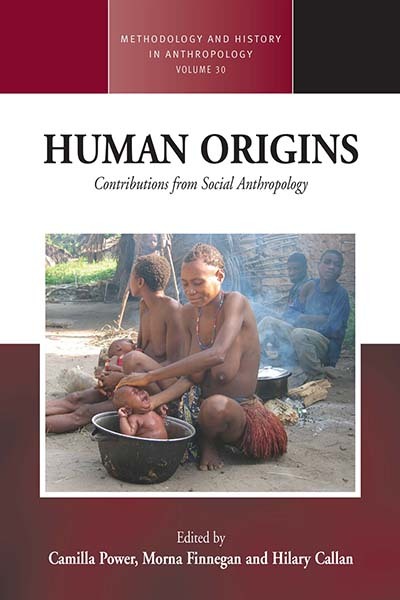 Introducing Human Origins: Contributions from Social Anthropology (Methodology & History in Anthropology) part 1, 7 March 2017 from Radical Anthropology on Vimeo. Introducing Human Origins: Contributions from Social Anthropology (Methodology & History in Anthropology) part 2, 7 March 2017 from Radical Anthropology on Vimeo. Chapter 10. Rain Serpents in Northern Australia and Southern Africa: a Common Ancestry?